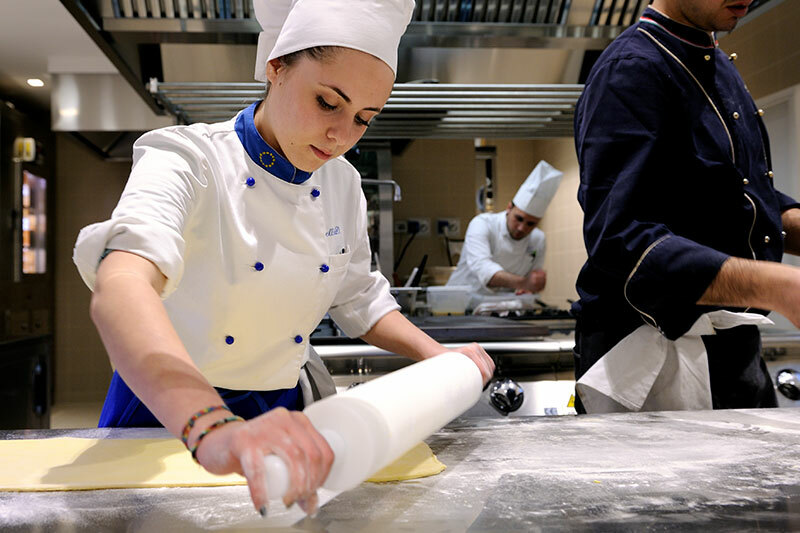 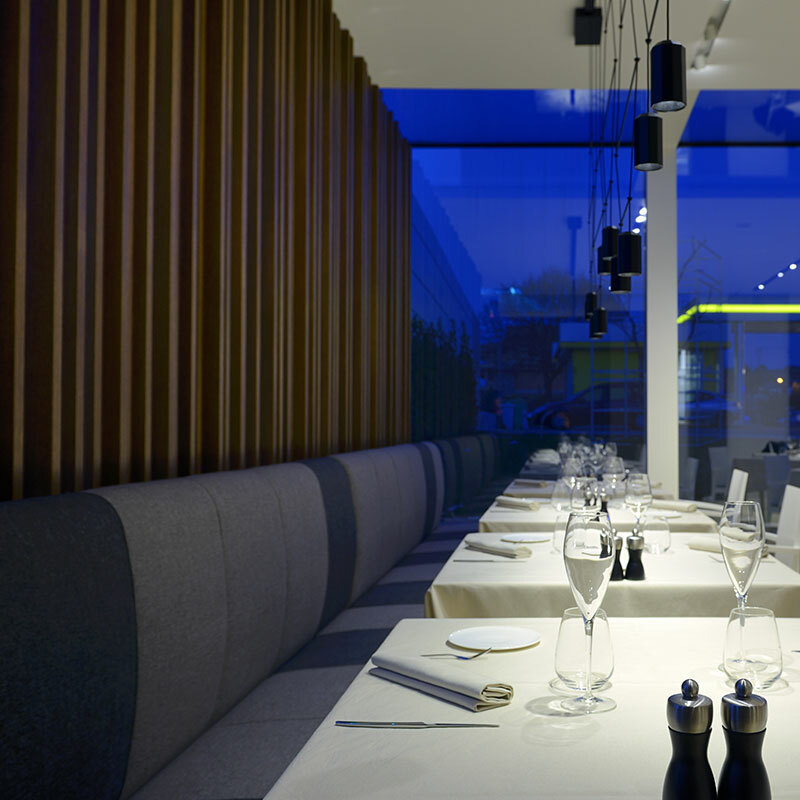 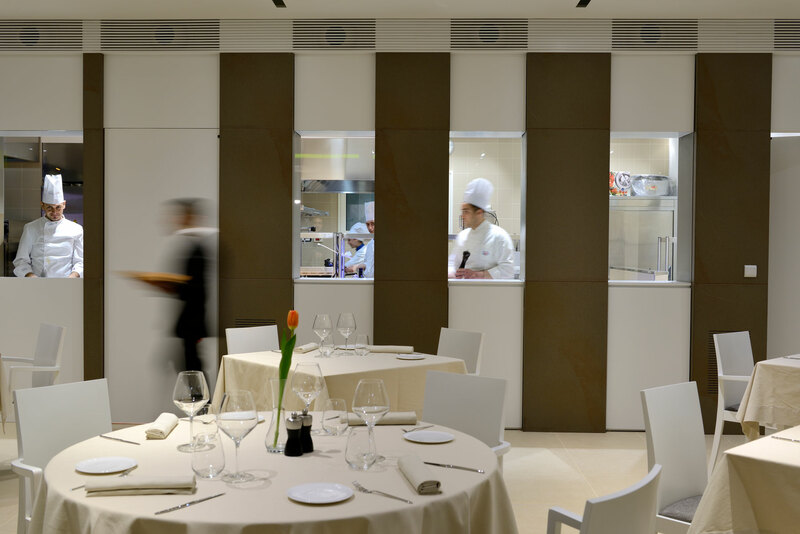 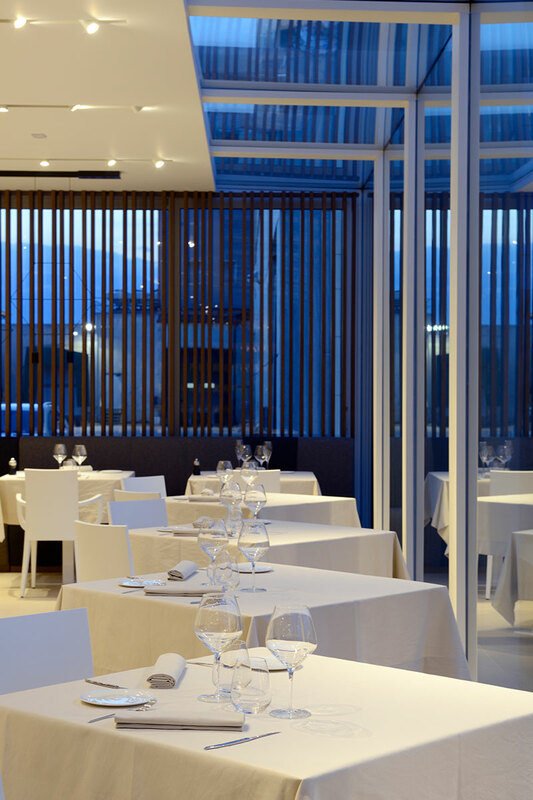 The rectangular hall, like a glass cube, is intended to be the restaurant area, and surprises with the way the walls are treated: crystal is the leading material and it is inserted in perpendicular belts in monolith which relates the guests of the restaurant with the kitchen, showing the essence and telling the passion and the creativity during a meal preparation. 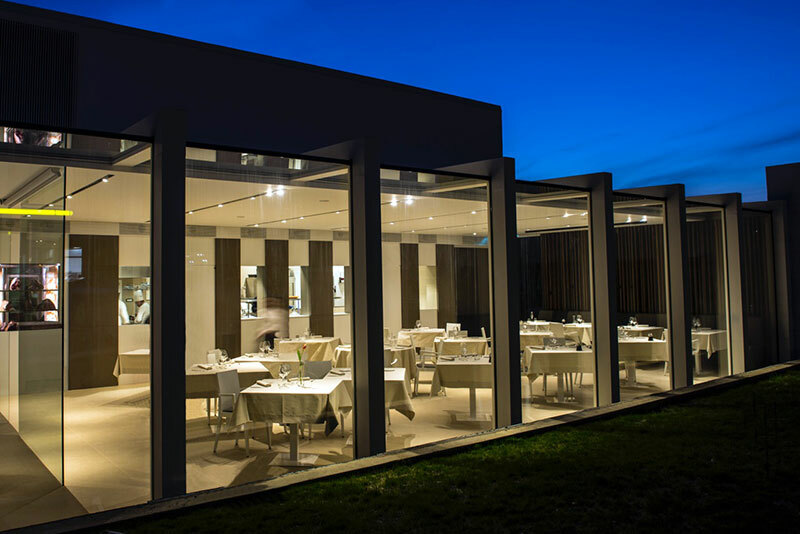 During the day, the sunlight overwhelms the hall and in the night the restaurant artificial lights, illuminates the external area: the outside and the inside areas are related, in fact, the transparency expands spatial awareness, confusing the borders. 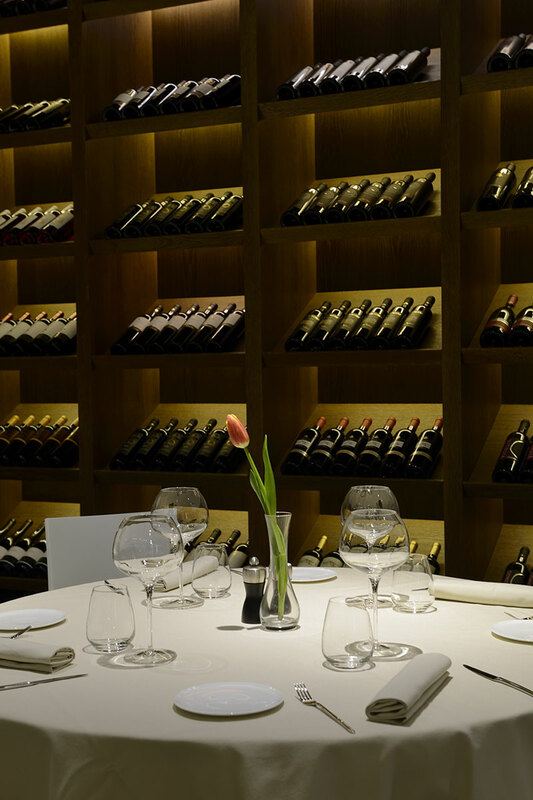 The white of the finishing touch and the crystal walls is added another material: the durmast brushed wood, that characterized the wall with a dense listel which weave overcomes the bench and it is the material used for the wine cellar too.